The European Independent Film Festival, Europe’s premier event for independent cinema, announces its 25 award winners for 2016. Not everyone is able to make it to Paris to ÉCU’s annual film festival. So, every year after the main event ÉCU travels around the world making sure its “Official Selection” directors and films are made known. This demonstrates ÉCU’s active commitment to cultivate and encourage the new and inspiring talent that comes its way. Last year over 10 countries around the globe were showing ÉCU films. This was made possible through the help of film commissions, film schools and our partner festivals. This action alone makes our storytellers voices heard, their creativity made known and allows them possibilities they would otherwise might not have had. As a festival for filmmakers, it is extremely important for ÉCU to go on the road and tour our films. Through our road series, we have the ability to changes lives, forge relationships, further artistic expression, and most importantly, encourage a new generation of filmmaking and film-goers. 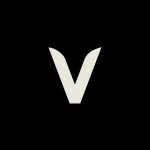 We are very proud of ÉCU’s partnership with the first edition of Vault Film Festival. The festival will take place in central London on Sundays between 14:30 – 16:00 on the 7th, 14th, 21st and 28th February 2016. The Film Festival is the newest addition to the Vault Festival of Arts, which will see it’s fourth festival taking place in the edgy underground location of The Vaults, Waterloo for six weeks in 2016: January 27th – March 6th. The best of ÉCU will go to London soon and we are super excited! Check here for more information. At its 9th edition, NDU was celebrated at Notre Dame University – Louaize, between November 15 and November 22. In this last version the Festival decided to honor the Lebanese Legend Abdel Halim Caracalla for his lifetime achievements. 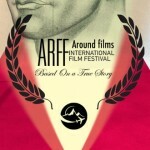 As a great example of an artist who gained success after years of persistence and belief in the artistic gifts of his team, he well represents the independent type of filmmakers the Festival aims to promote and reward. 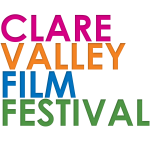 The Clare Valley Film Festival showcases Australian and international independent film, as well as informing and inspiring a new generation of filmmakers, meanwhile raising the profile of this vibrant and diverse area – the Clare Valley. This year, the theme of family, friendship and life as seen through the eyes of the young and the old have played a big influence on many of the films.